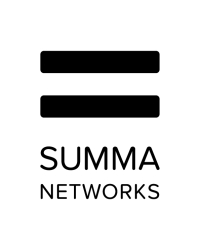 Madrid, Spain, February 22, 2019 --(PR.com)-- Summa Networks, a leading provider of HLR/HSS technology for MVNOs and other broadband and telecommunications service providers, announced that Tinkoff Mobile, a Mobile Virtual Network Operator in Russia, is expanding its mobile offerings with Summa Networks’ NextGen HSS (Home Subscriber Server), which enables mobile operators to deliver advanced services to subscribers. The solution is deployed by CPM, a leading Moscow-based systems integrator specializing in mobile core applications and infrastructure. Summa Networks’ carrier-grade NextGen HSS offering combines LTE (4G) HSS, IMS (3G) HSS, and HLR (Home Location Register) capabilities into a single software solution, allowing seamless interworking between 3G and 4G networks. The NextGen HSS is particularly suited for the needs of MVNOs and providers looking to deliver smart home, smart business, and other IoT services. Summa Networks is also in the process of enabling NextGen HSS to support 5G networks as they become available. Today Tinkoff Mobile owns its network core and subscriber management system through Summa Networks’ HSS and HLR, giving it the opportunity to provide faster and higher quality services, such as decoupling subscriber SIM-card services with the specific region where it was sold. Through the solution, the operator’s subscribers can change, restore and correct their personal data in any Russian city. According to Javier Martin, chief executive officer of Summa Networks, the deal with Tinkoff Mobile will provide the company with a platform to extend its reach into Russia. “We are delighted to expand our relationship with Tinkoff and CPM, and increase our presence across Russia,” said Martin. “Tinkoff Mobile is an ambitious, savvy mobile provider that is looking to properly leverage both existing and upcoming networks. The partnership between our companies will provide a solid foundation for addressing future operator needs in 3G, 4G and upcoming 5G network infrastructures. Summa Networks will exhibit at the MWC, the leading congress on mobile technologies that will take place in Barcelona 25-28 February. Launched in 2017 the Mobile Virtual Network Operator (MVNO) Tinkoff Mobile is part of Tinkoff Group together with Tinkoff Bank. Today the Tinkoff Mobile brand is available in 47 regions of Russia. Tinkoff Mobile works on the full MVNO model based on the Tele2 radio access network and infrastructure – it has its own network code, a dedicated number range, SIM cards and business applications. This model provides maximum flexibility in the development of service processes and service plans for subscribers. The Virtual Mobile Operator provides coverage throughout Russia and is fully integrated with Tinkoff Bank. Tinkoff Mobile offers a flexible and convenient mobile experience that allows customers to tailor their mobile plan to their own needs, rather than selecting from a fixed set of existing tariffs. Tinkoff Mobile also offers such popular options as the issue of a free virtual Tinkoff Bank card for subscribers, as well as account management through a mobile application, attractive international roaming, the ability to use one SIM card on different devices, upgrades to larger service packages at any time with a surcharg and free delivery of sim cards. CPM Ltd. – system integrator, provider of IT/telecommunication solutions and professional services in this area. The company operates in the Russian and CIS market since 1996 and has partnered with major manufacturers of telecommunications equipment and IT solutions. Summa Networks is exclusively specialized in the development of state-of-the-art telecom software that ensure carrier-grade performance. Our unique NextGen HSS reaches further than current HSS and HLR solutions and can be seamlessly deployed in-house and in Cloud environments. It enables smooth interworking between 3G and 4G thanks to LTE HSS, IMS HSS and HLR open standard technologies in one piece of software and is ready to evolve into 5G. Summa Networks is the solution of choice for IoT applications, VoLTE in-a-box and VoWiFi. Summa Networks is part of Within Reach Holding, which prides itself in the success of companies such as the Dutch and German telecom provider Voiceworks, the leading German PBX provider Swyx and the French software company Centile.